Costa Rica has come a long way since its days of banana plantations and coffee. While both of these are still major exports and Costa Rican coffee is considered one of the best of the world, it is not the main source of income for this country anymore; tourism is now largely predominant and with it came medical tourism. Costa Rica is now a top medical tourism destinations. The ministry of tourism recently announced that medical tourism accounted for 6 to 8% of the total of tourists who entered the country each year, including dentistry and plastic surgery. A good education system has played a big role in this recent shift. Costa Rica enjoys a literacy rate of over 94% and it also has a very good health system that was ranked first in Latin America—above even that of the United States—by the World Health Organization, WHO. 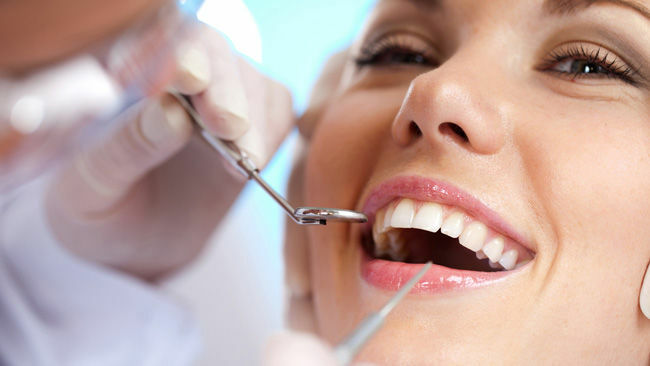 Dental tourism is one of the main attractions for people who come to Costa Rica. A trip to Costa Rica gives you the opportunity to receive high quality dental care combined with a vacation for a cost that can be less than half of what it would cost in the US, Canada or Europe. And all that while you enjoy a vacation in one of the most beautiful countries of the world. That is why so many people choose Costa Rica as a dental tourist destination. Dentists often study in American or European universities and return to Costa Rica with the best qualifications in hand. From simple fillings to complicated implants, dentists in Costa Rica are some of the best. The equipment they use, like the dental prostheses, is usually imported from the United States and the dental implants come from reputed companies. The state-of-the-art dental clinics of Costa Rica are extremely strict regarding the sterilization of their equipment. Specialists—including Orthodontists, Cosmetic dentists, Endodontics, Oral surgeons, Periodontics, Prosthodontics, Pedodontics—are well trained so you have peace of mind. All have sufficient experience, are members or affiliated to International Dental Institutions and have expertise to guarantee excellent results. Staff is usually bilingual and specially trained to provide the best customer service and the best care. People who have cosmetic dentistry in Costa Rica are usually in awe of the personal care they receive. Indeed these dental clinics are experienced in dealing with foreigners and tourists; you are not just a patient, you are also a special guest. Furthermore, you will find that most dental vacation packages have a fixed price, thus avoiding an unpleasant surprise when you get the bill. In the majority of the cases, the dental x-rays and reports are required ahead of time, before you are even on your way, so that the prices can be calculated accurately according to the procedure needed. All in all, it makes perfect sense to combine the holiday of a lifetime with lower cost dental procedures while you’re in the hands of the finest dentists in plush luxurious clinics. Costa Rica is rapidly becoming the top destination for dental and medical care for a very good reason. It is the best! Plastic and cosmetic surgery was not far behind the medical tourism boom in Costa Rica. This country is now strongly established as a favorite destination for reconstructive and cosmetic surgery, as well as for surgical and non-surgical procedures. This is thanks to the quality of service, the professionalism of its surgeons and the high level of care before, during and after the procedures. Again, all this is for a portion of the price it would cost in the US, Canada or European countries. About 8.5 million people come every year to have some kind of procedure here, of which the majority are women. Breast augmentation, facelift, lipoplasty (liposuction), nose surgery and eyelid surgery are the most popular surgical procedures done in Costa Rica; and Botox, skin fillers, chemical peel, laser hair removal and micro-dermabrasion are the most popular non-surgical procedures. Plastic surgeons in Costa Rica usually study in some of the most prestigious plastic surgery schools in countries like the United States, Mexico, Europe and Brazil. Once they are back in Costa Rica they establish themselves with state-of-the-art technology and plush luxurious clinics. These clinics are sometimes integrated within the top private hospitals of San Jose like Hospital CIMA, Hospital Clinica Biblica and Clinica La Catolica. Most of the staff in these hospitals speak English and are used to dealing with foreign patients. For your own security it is highly recommended that you choose a plastic surgeon that is affiliated with one of these hospitals. The Professional College of Physicians can also provide you with information regarding the credentials of these surgeons. When making the decision to have plastic surgery in Costa Rica, it is a good idea to carefully select your surgeon to make sure that s/he is experienced and well-qualified. Costa Rica uses recovery hostels and houses where people can spend a few days up to a couple of weeks, depending on their procedure. Here guests are pampered and well looked after by specialized bilingual nurses. These recovery hostels are usually set in beautiful surroundings, in peace and harmony with nature, and even include swimming pools, a spa and gourmet food. Keeping all this in mind it is hardly surprising that Costa Rica has become a top destination for plastic surgery. So next time you’re considering having a dental, medical or cosmetic procedure, consider doing it in a place where you can enjoy it a little more than you would back home.